Some of Henry’s New Year’s resolutions are to gain ten pounds, eat solid food, talk, walk, talk the talk and walk the walk. This entry was tagged boppy, New Year. Bookmark the permalink. What a great smile & what great New Year’s resolutions Henry has ! As usual, one of mine is to lose 10 lbs, but of the 2 of us, Henry is more likely to succeed. 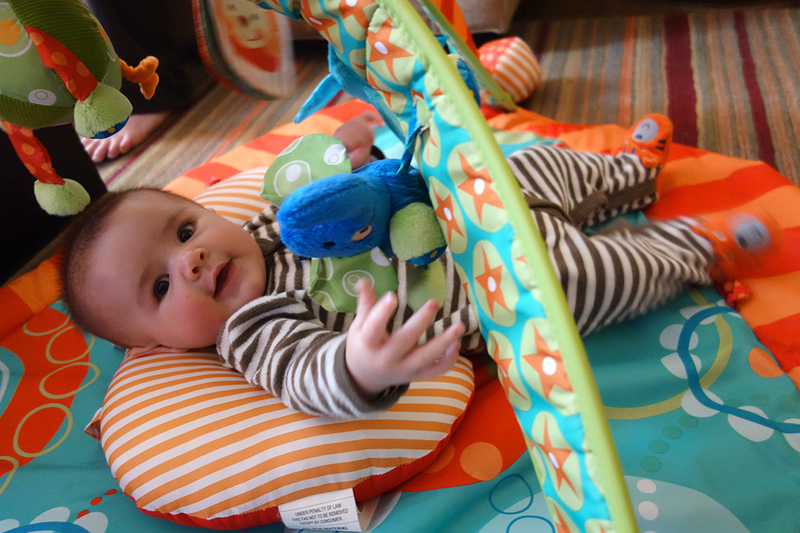 Seeing him with his Boppy reminds me of how much he’s grown since Cheryl & I first placed him on his Boppy at 6 weeks. Such a beautiful boy!